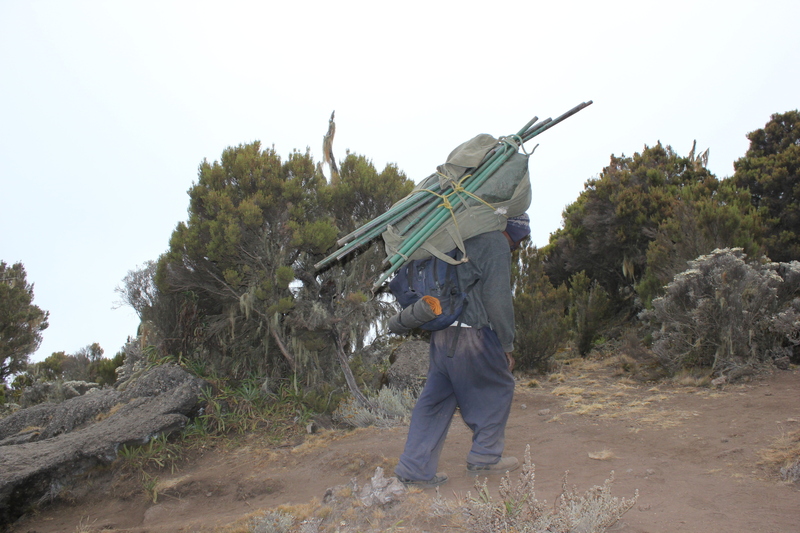 Kilimanjaro Porters are the unsung heroes of Mount Kilimanjaro, and if you are thinking about climbing Africa’s highest mountain anytime soon, you will need a team of professional mountain crew and porters to help you reach your goal – Uhuru Peak at 5,895metres above sea level. The days start early on Mount Kilimanjaro, and as soon as the sunrises, your porters will be responsible for collecting water from the nearest stream, which could take a good hour, cleaning your port-a-loo, packing up equipment, and helping the chef with anything he might need to prepare your breakfast. Most porters get two meals a day on the mountain, which consists of Ugali, maize flour cooked with water to create a porridge-type meal, served with fresh vegetables. Your porters do not eat with you, so they will eat before you have breakfast, and after you have had your dinner in the evenings. 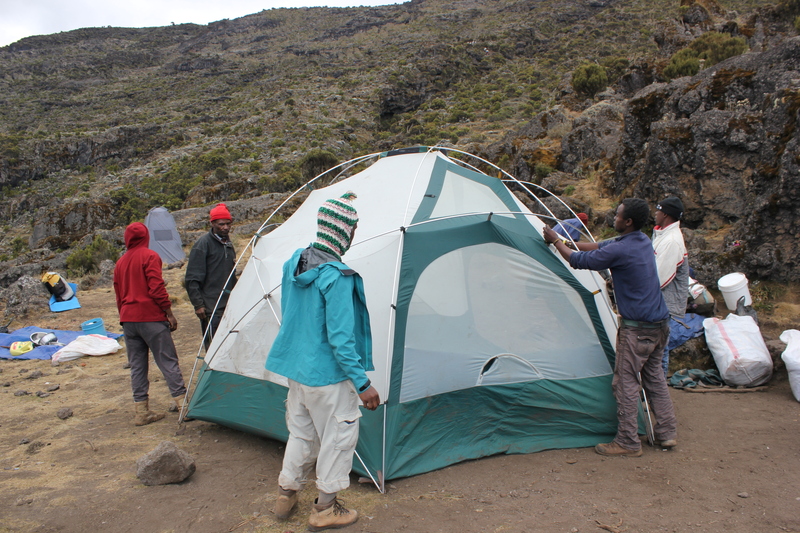 As soon as breakfast is over, your porters will clean all the cooking utensils and crockery, pack down all the tents and equipment, and pack everything away into huge bundles that they will carry to the next base camp. Each porter is supposed to carry a maximum load of 20kg (including their own gear), but many carry in excess of 25kg. Despite being just as susceptible to altitude sickness as us climbers, Kilimanjaro Porters have to climb Kili with a huge pack on their backs – and after day two, you will truly appreciate how difficult that must be. Once your porters have packed up the camp in the morning, they run ahead of you to ensure that everything is set up and ready for you by the time you arrive for lunch, which means setting up the dining tent with chairs and tables, setting up the port-a-loo, and helping the chef with whatever tasks need doing. After lunch, the procedure is the same, your porters will pack everything away again, and then run ahead of you to get to base camp, where they will set up your tent, prepare your luggage, set up the dining tent, and have everything ready so that they can greet you with a song when you finally arrive in camp. Only after you have had your dinner and returned to your tent for the night, will your porters eat their main meal of the day, before retiring for a few hours sleep in a shared tent. And the next day… it starts all over again. 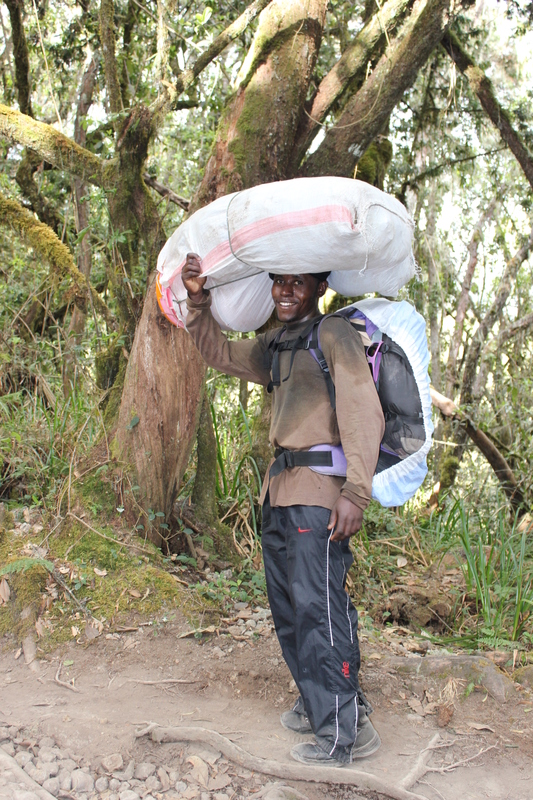 The Kilimanjaro Porters Assistance Project (KPAP) recommends that porters earn a minimum of 20,000 Tanzanian Shillings per day (approximately 12 USD), but some companies pay them as little as 5,000 Tanzanian Shillings per day, and so they rely on your tips to survive. Therefore, a minimum daily tip of $8 – $10 (USD) per porter is recommended, split between the number of climbers in your group. Of course, if you want to give more – you can, and they will certainly appreciate it. 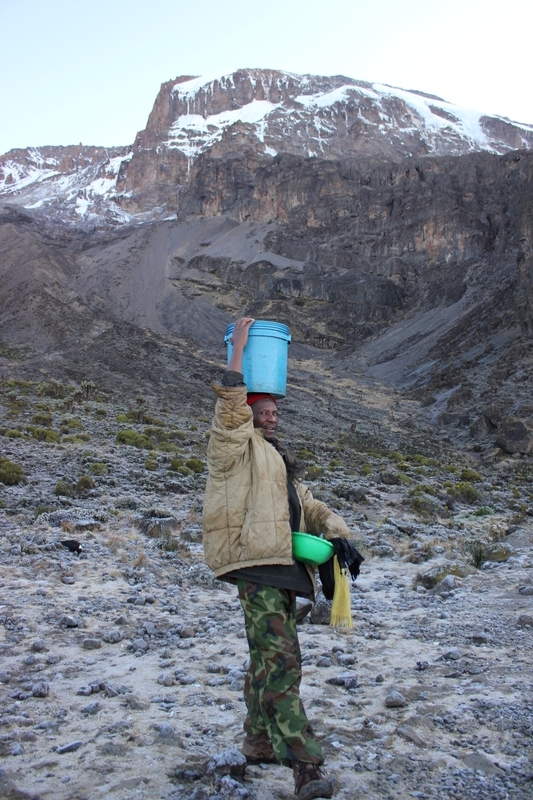 Your Kilimanjaro Porters will also gladly receive any clothes, boots, climbing equipment, sweets, snacks, and just about anything else you can spare – so be generous, and help the guys who help you fulfil your dream.